The UK’s exit from the European Union will pose major challenges and opportunities for every policy area – including the growing issue of homelessness. The ‘core homeless’ population in Great Britain stood at 160,000 households in 2016. 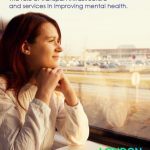 Brexit’s most immediate potential impacts on homelessness and the experience of homeless people are on EU nationals who are currently in Great Britain and experiencing homelessness. 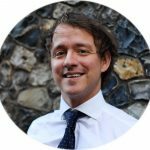 But the risks and opportunities Brexit poses are not confined to EU nationals – they relate to the experience of British, EU, and other foreign nationals living in the country. 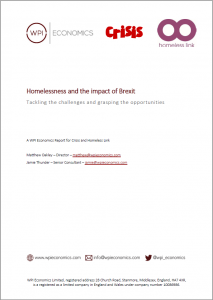 In this report, drawing on desk research and workshops with a diverse range of groups with an interest in homelessness and Brexit, we have looked at Brexit specifically through a lens of homelessness. In doing so we have identified key factors which each raise a set of opportunities and risks associated with the UK leaving the European Union.